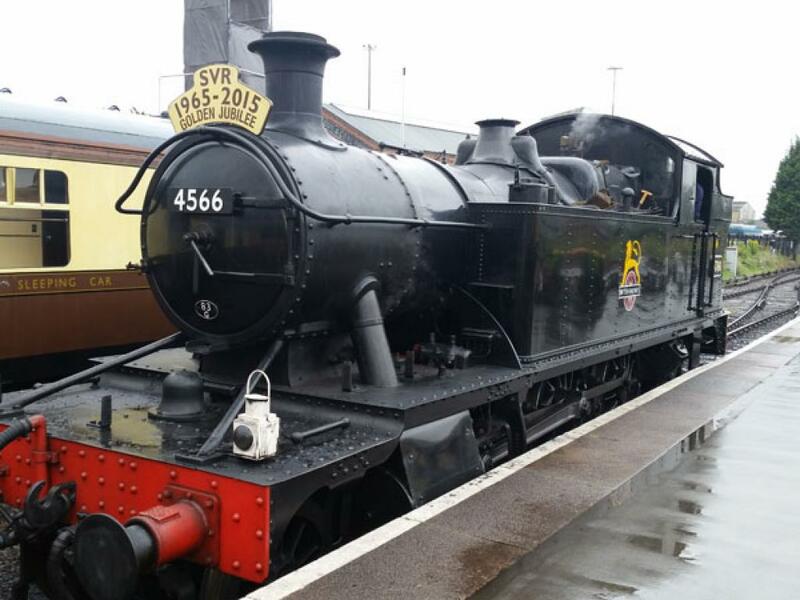 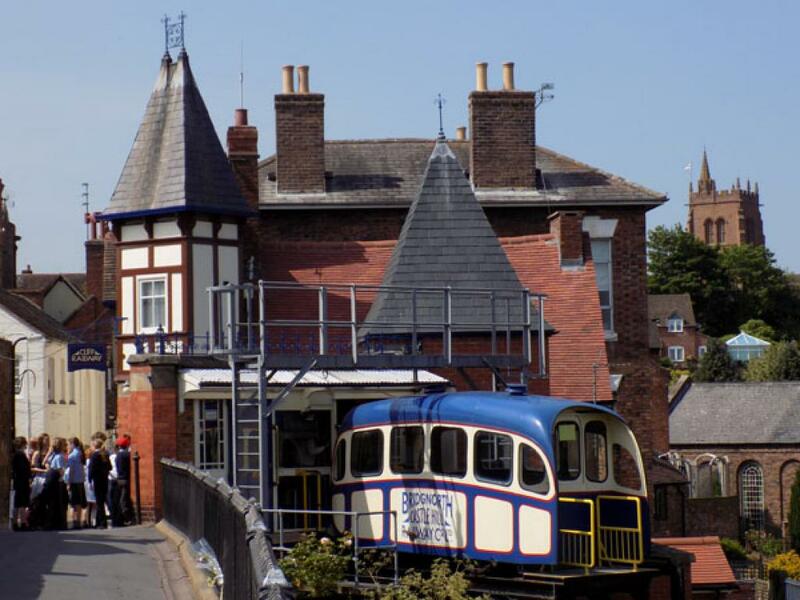 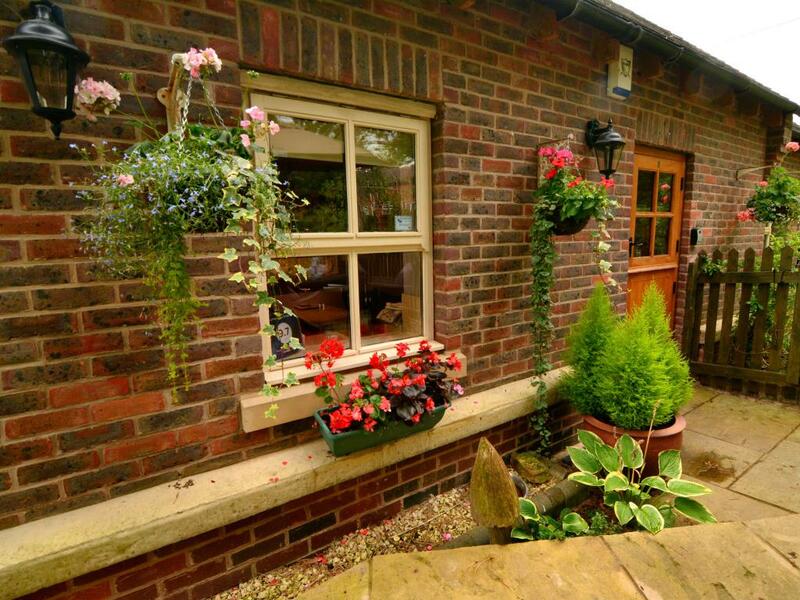 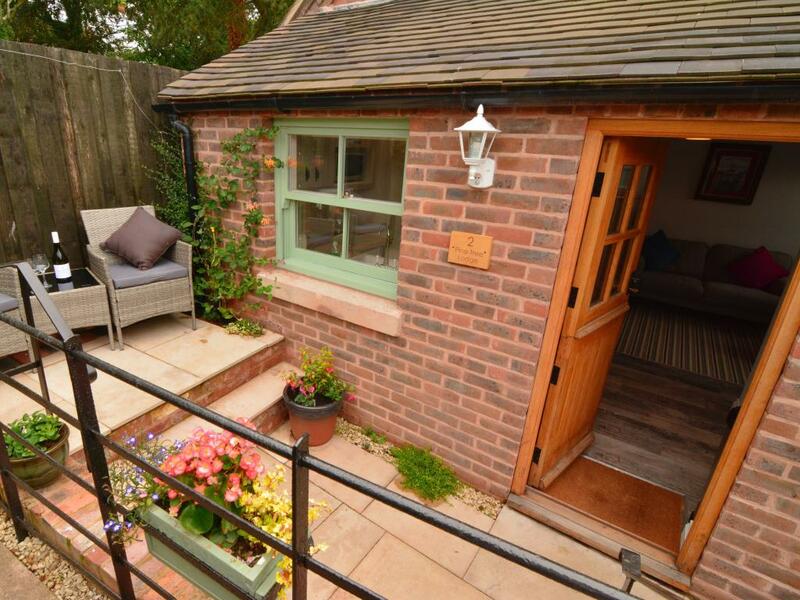 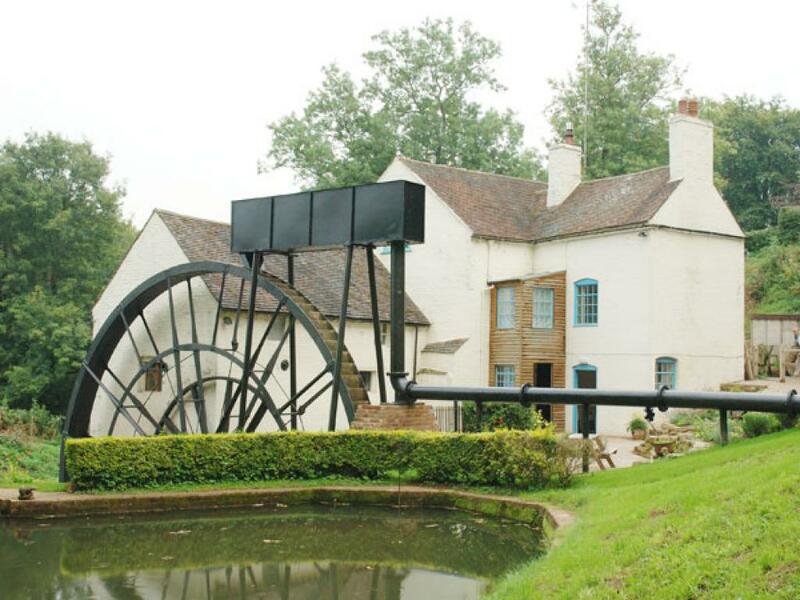 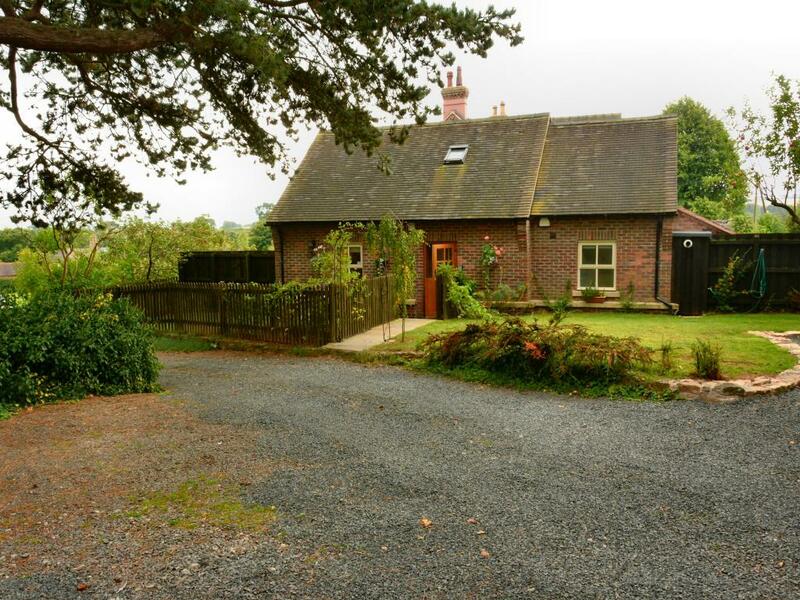 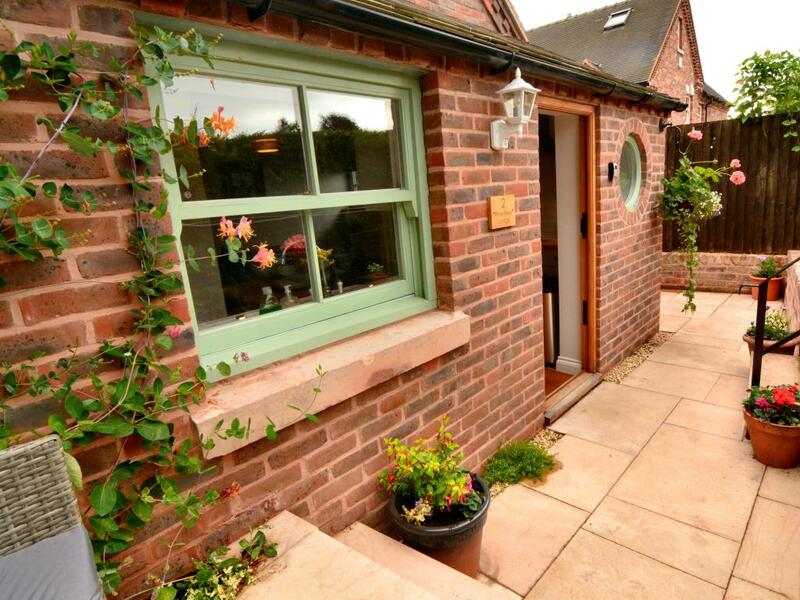 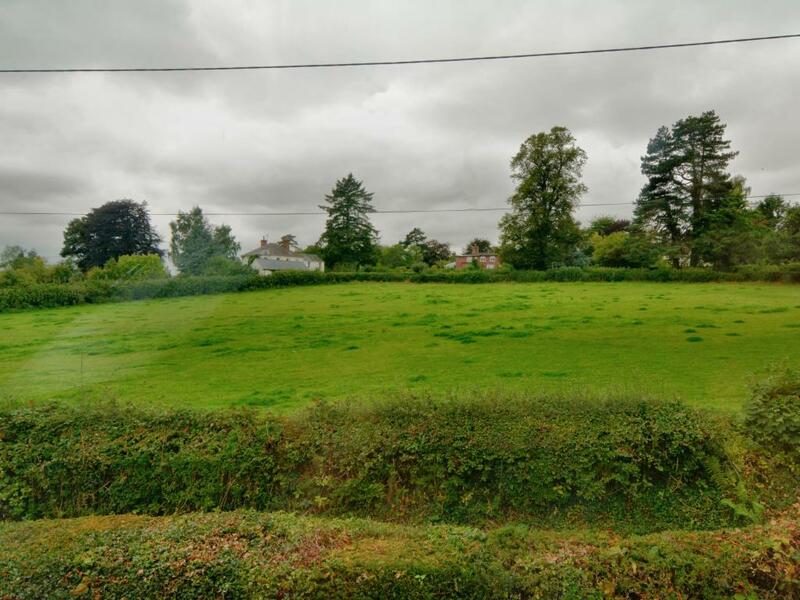 Pine Tree Lodge is located in a semi rural setting with country views but is less than a mile from the Historic Market town of Bridgnorth in Shropshire and 1/2 mile from the World Famous Severn Valley Railway. 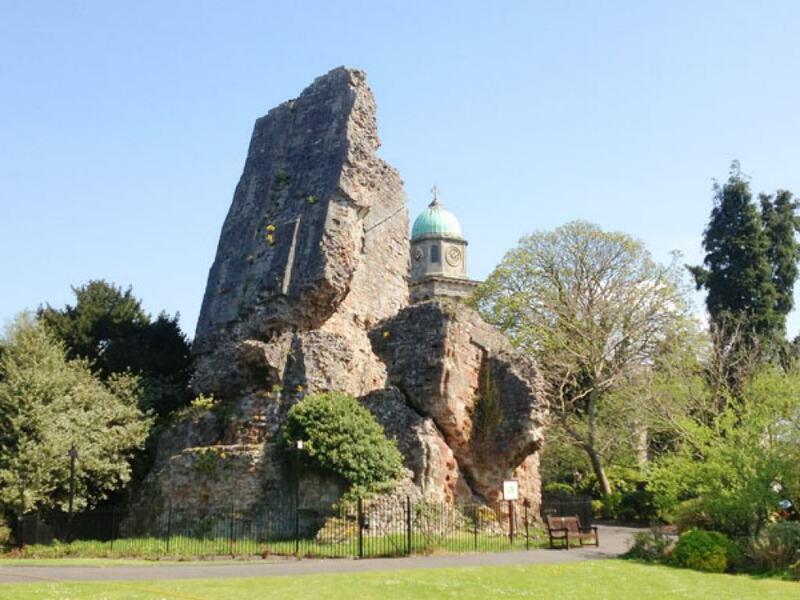 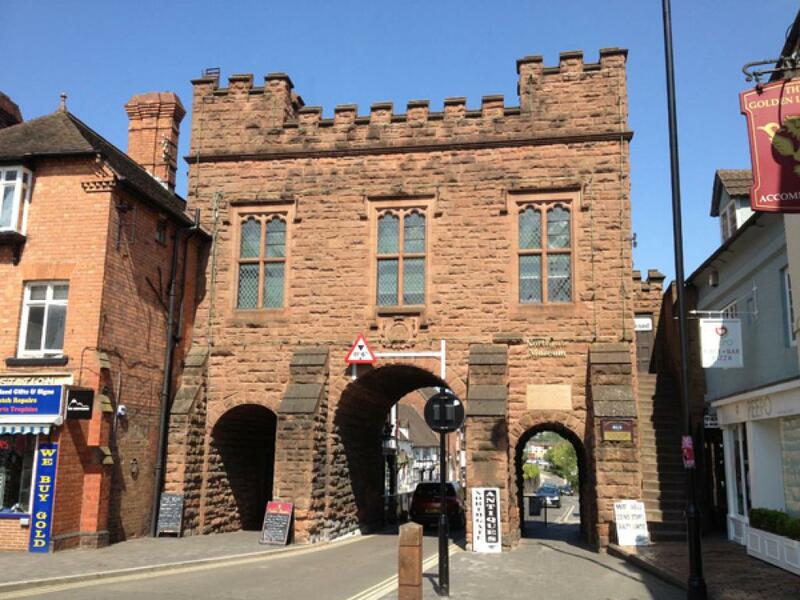 Bridgnorth is an historic fortified town renowned for its many old buildings, pubs and restaurants, also the Vernacular Railway that links the River Severn in Low Town to the Old Castle grounds in High Town. The world famous Ironbridge is located only 9 miles away and the River Severn is 1/2 mile away to stroll along, fish or take a canoe trip. National Cycle Route 45 is just 200 metres from The Lodge. There are many impressive golf courses nearby too. 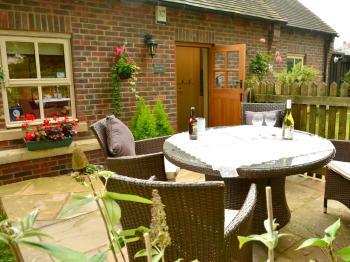 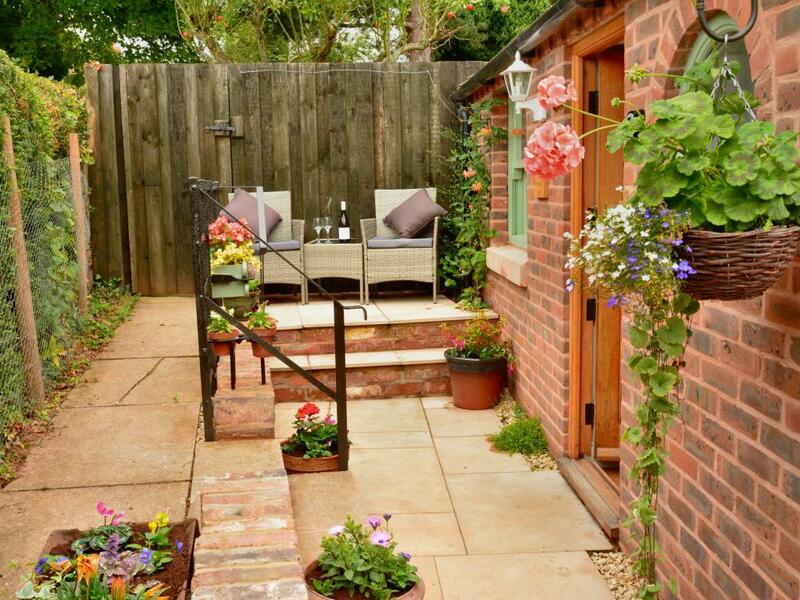 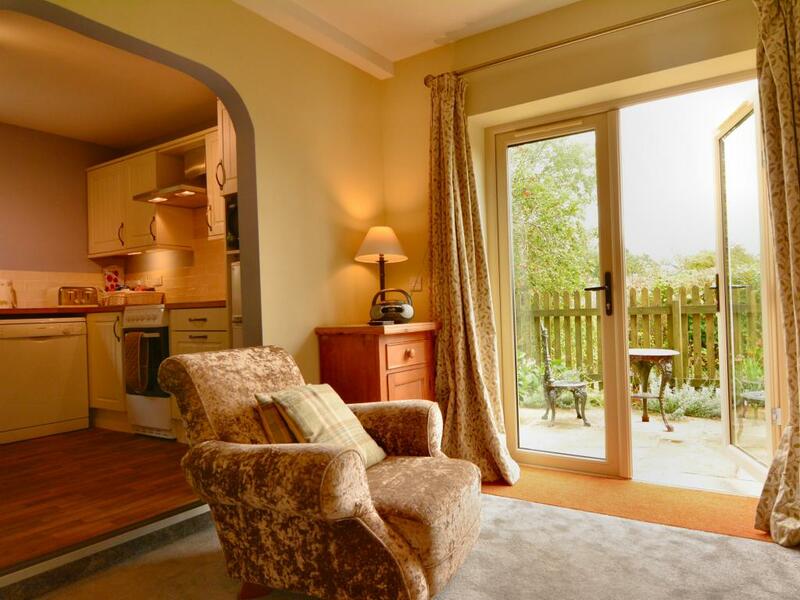 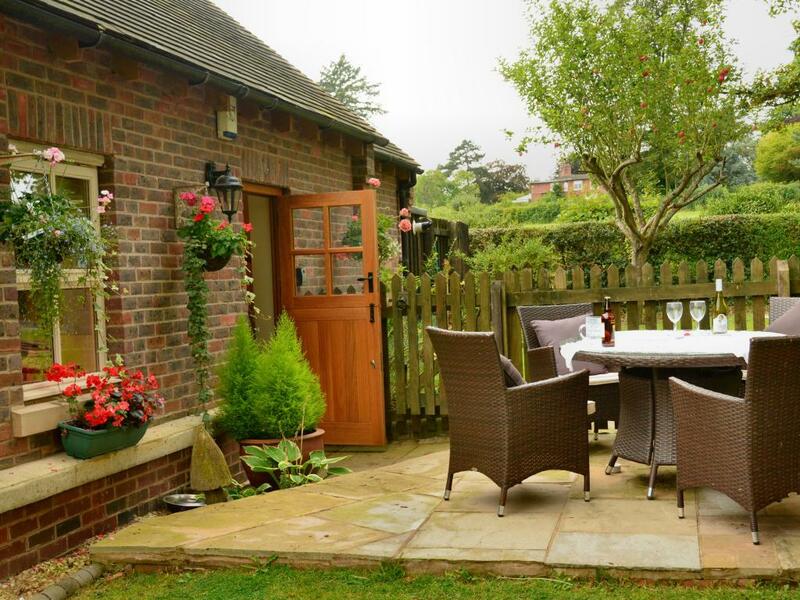 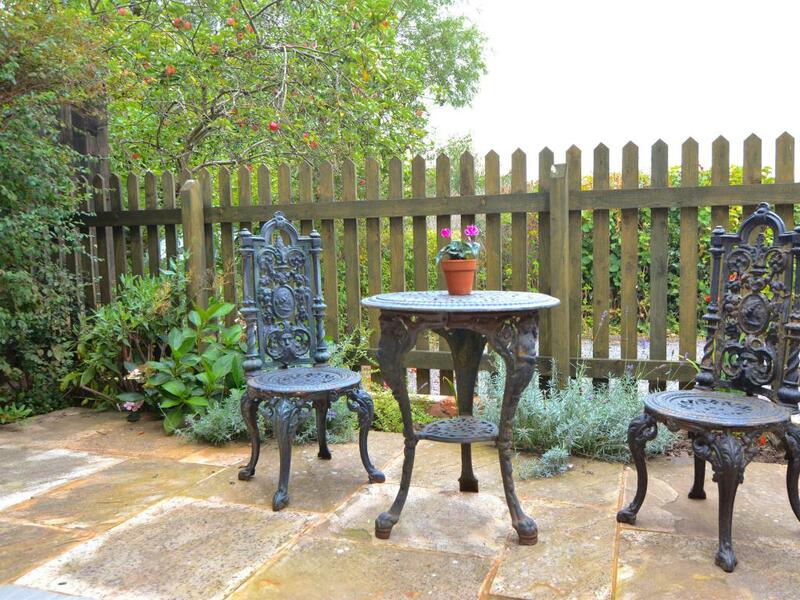 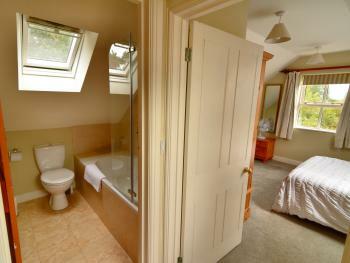 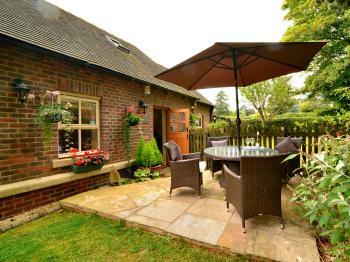 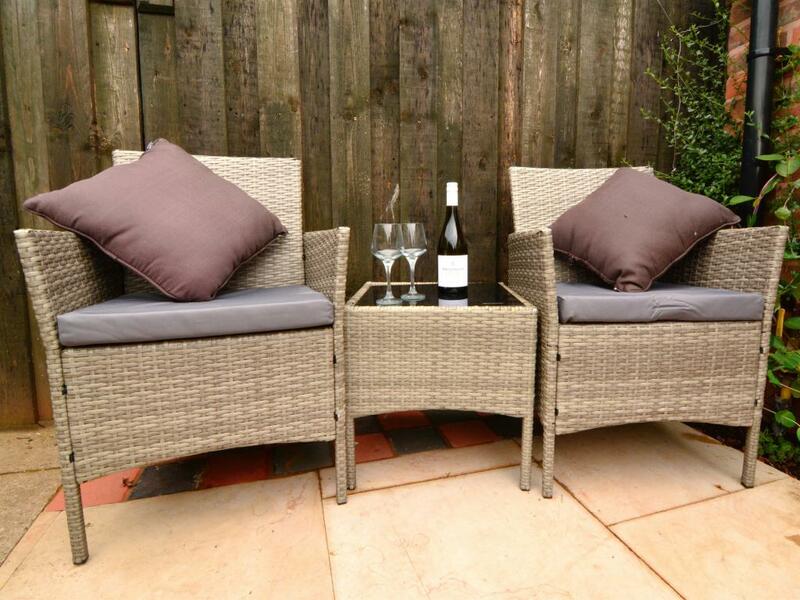 Both Cottages have 2 parking spaces outside the door, and private enclosed sunny patio areas with seating and tables. 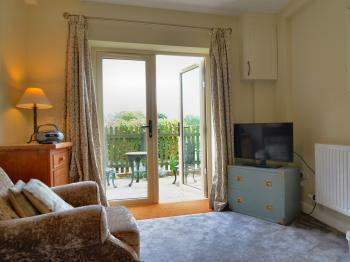 All guests receive a complimentary bottle of wine, tea and coffee on arrival. 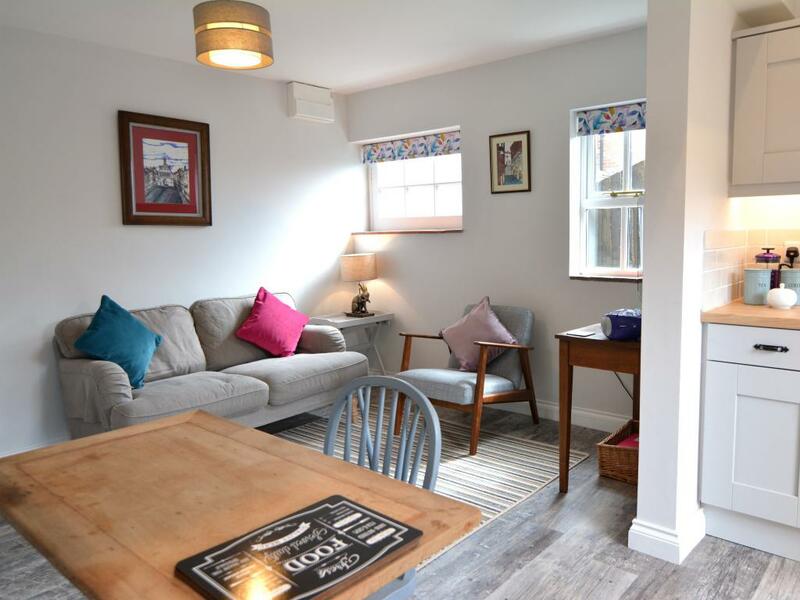 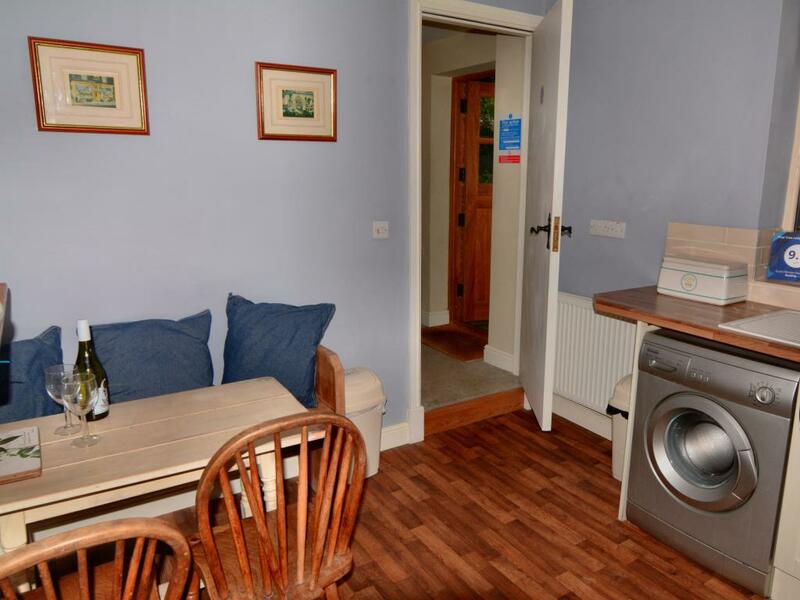 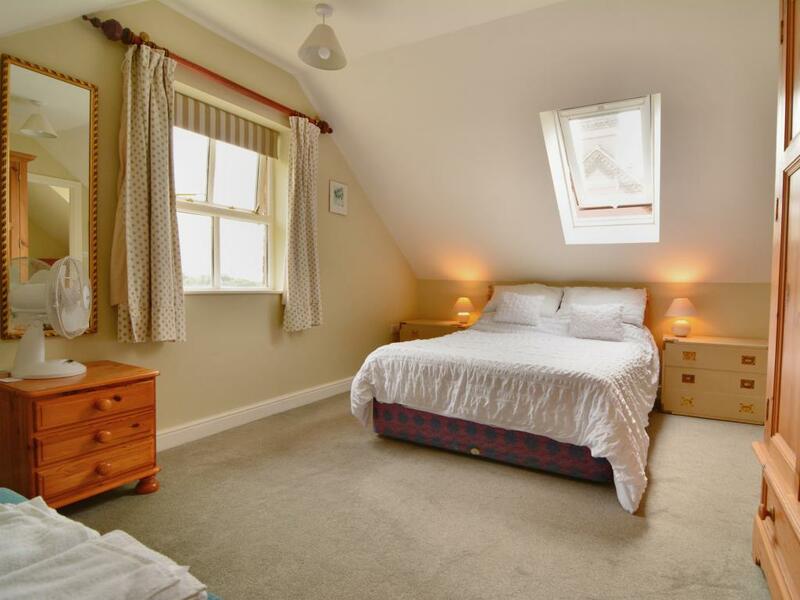 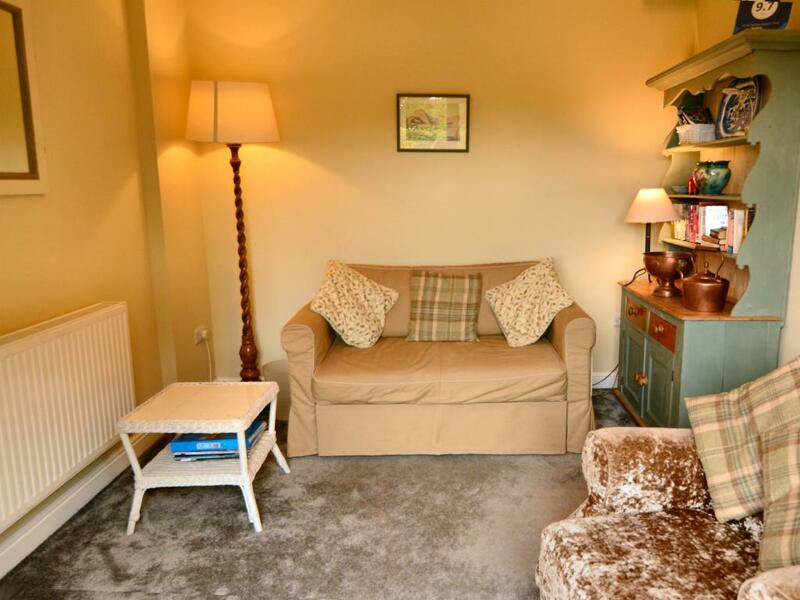 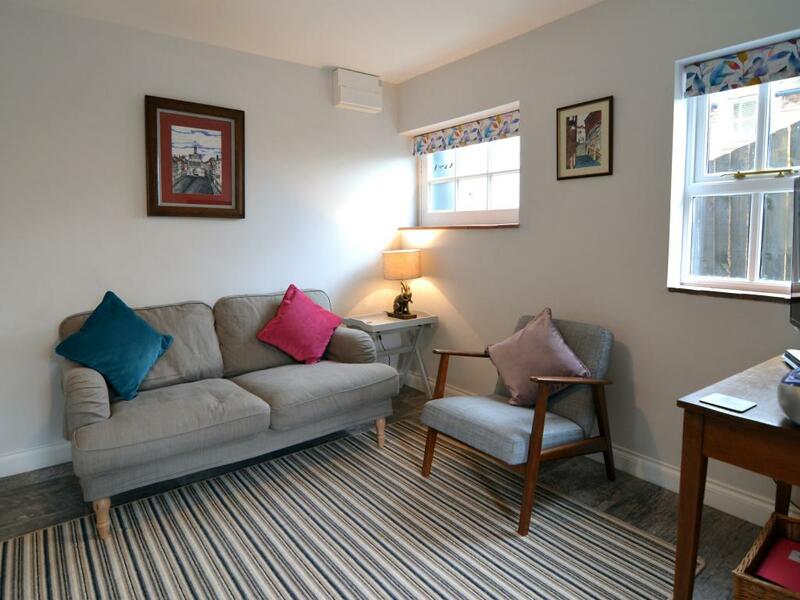 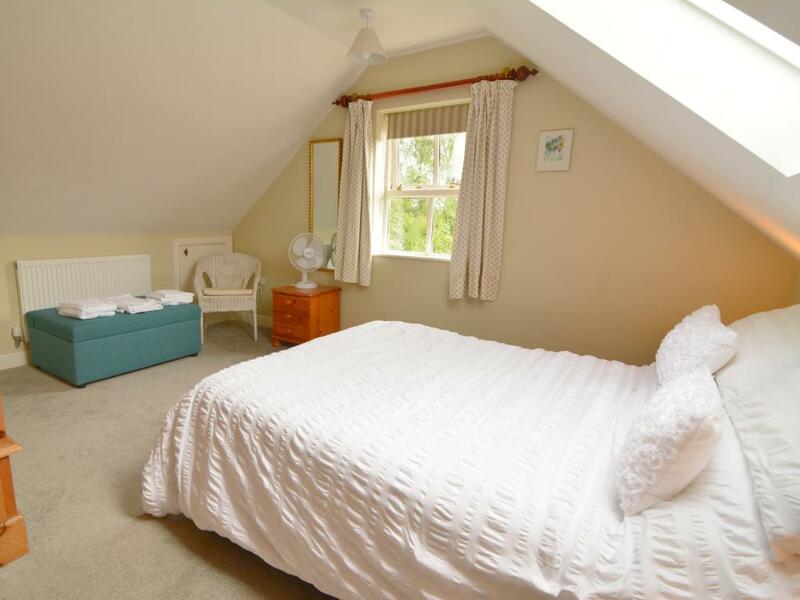 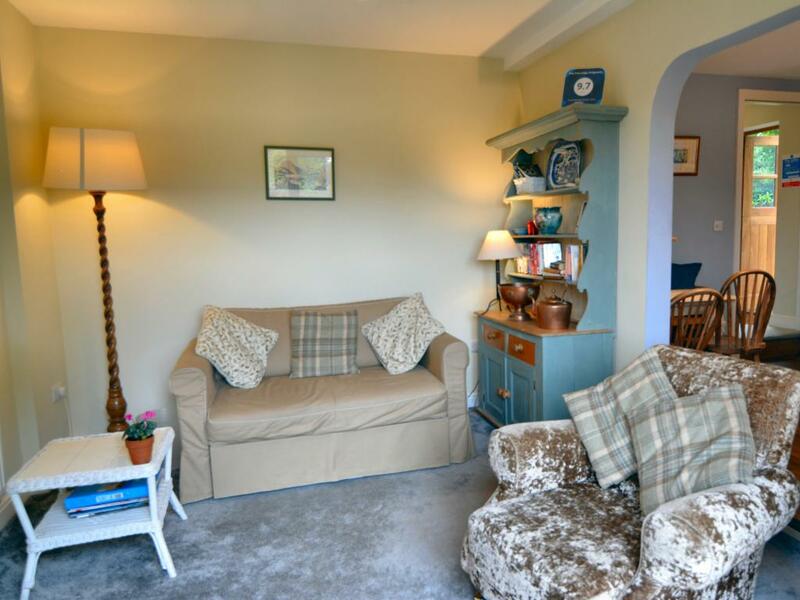 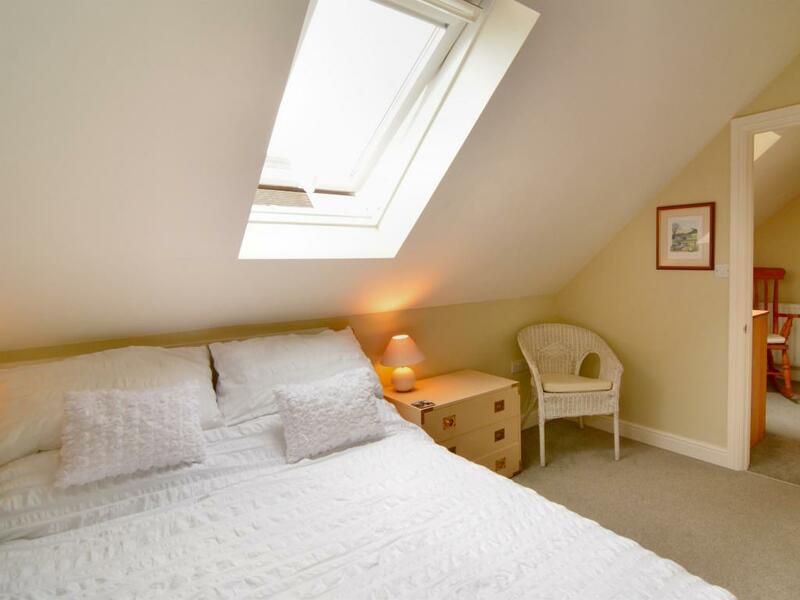 A flat screen TV, DVD player and CD/radio are provided in both cottages and free WIFI connection. 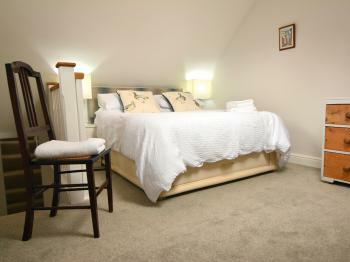 Bedding and towels are also included. 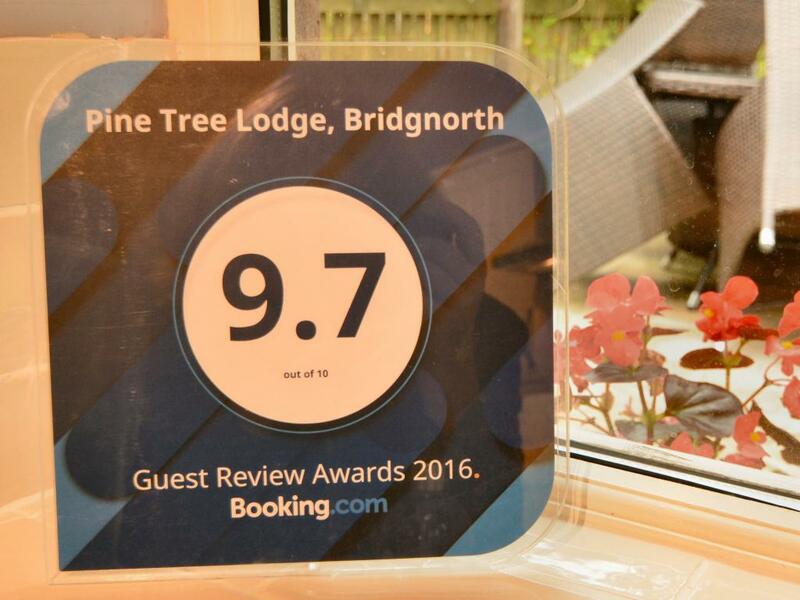 No 1 Pine Tree Lodge was converted in 2016 in to a 1 bedroom cottage by owner Darren. 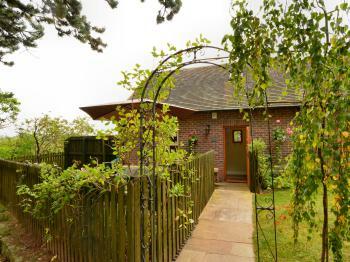 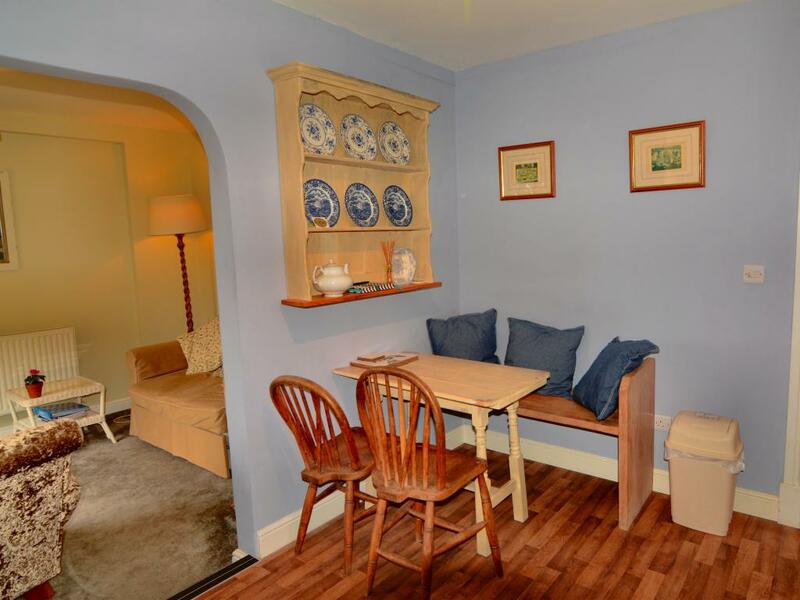 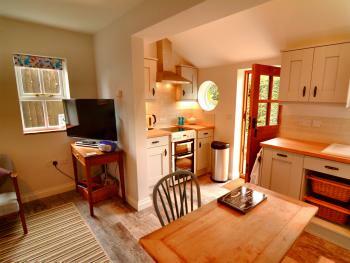 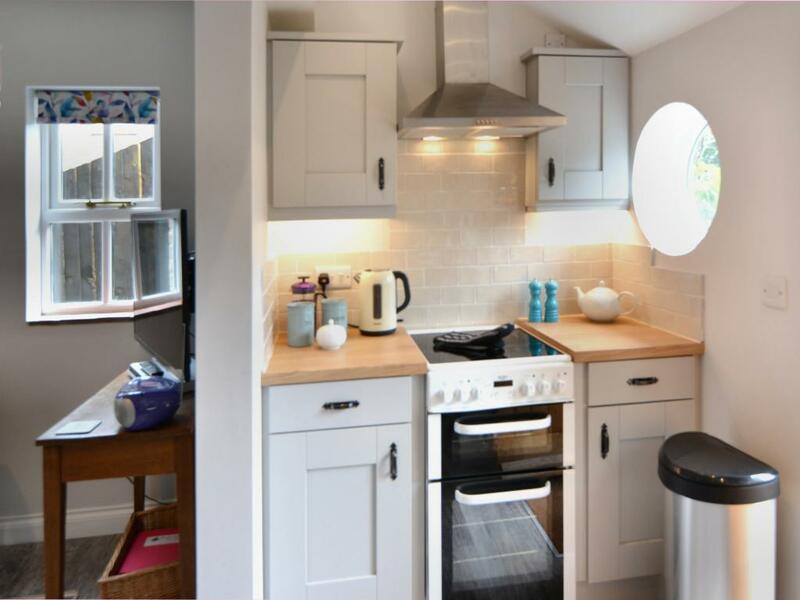 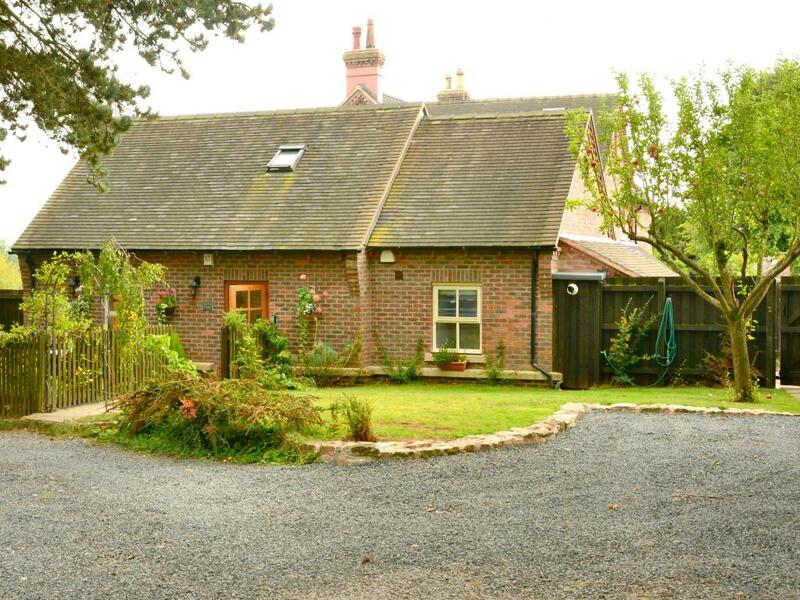 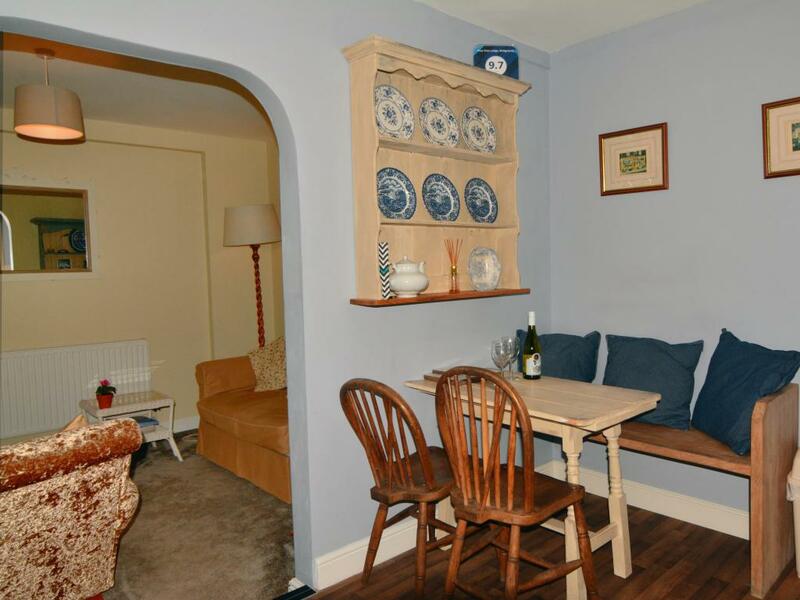 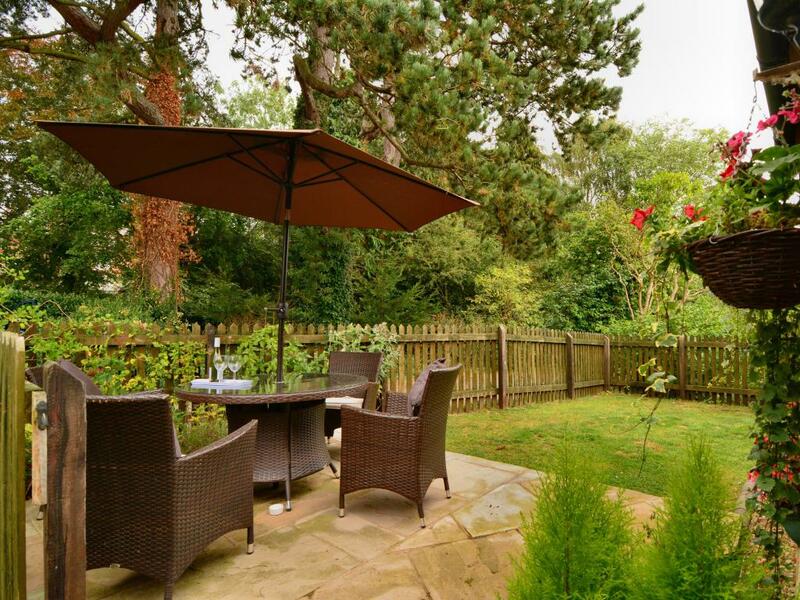 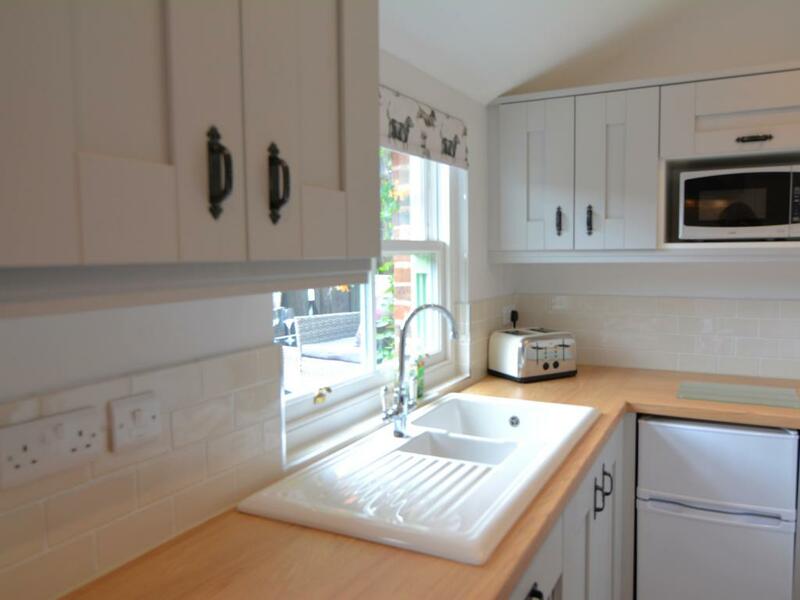 It has an entrance hallway, a fully fitted cottage style kitchen/diner with an archway through to the lounge. 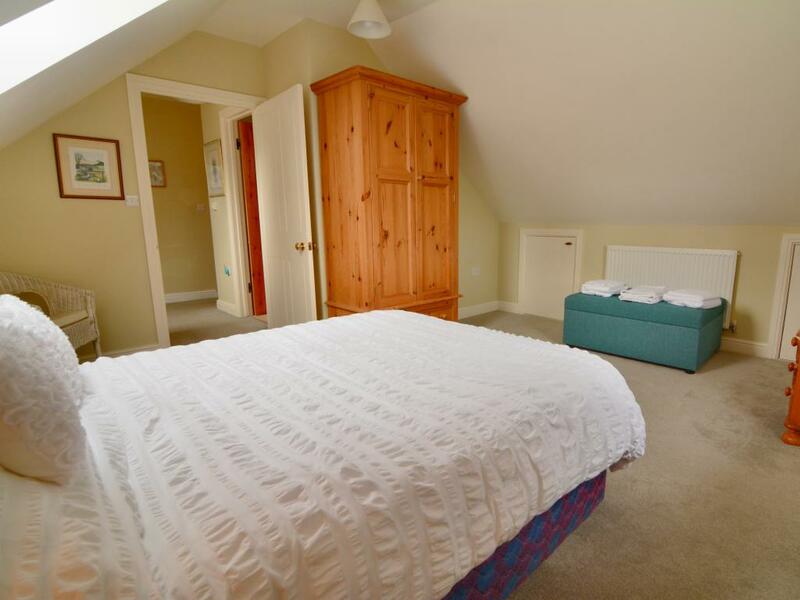 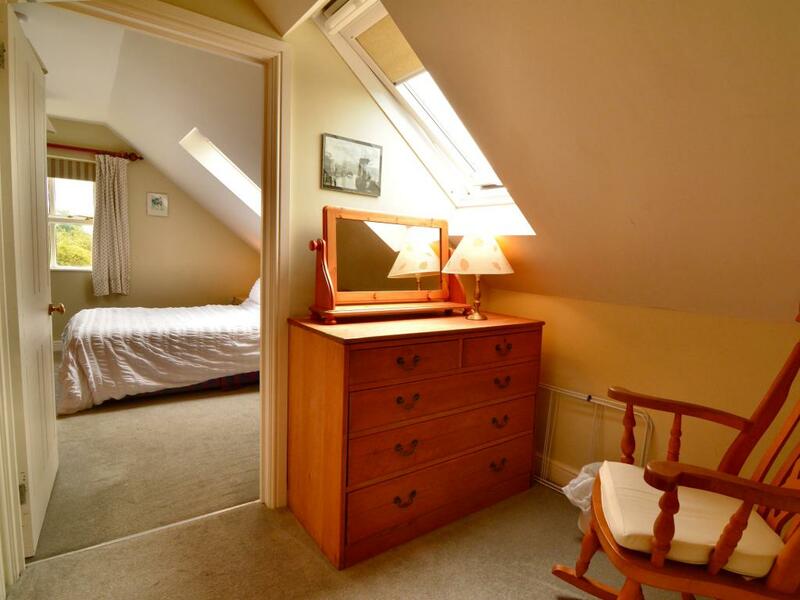 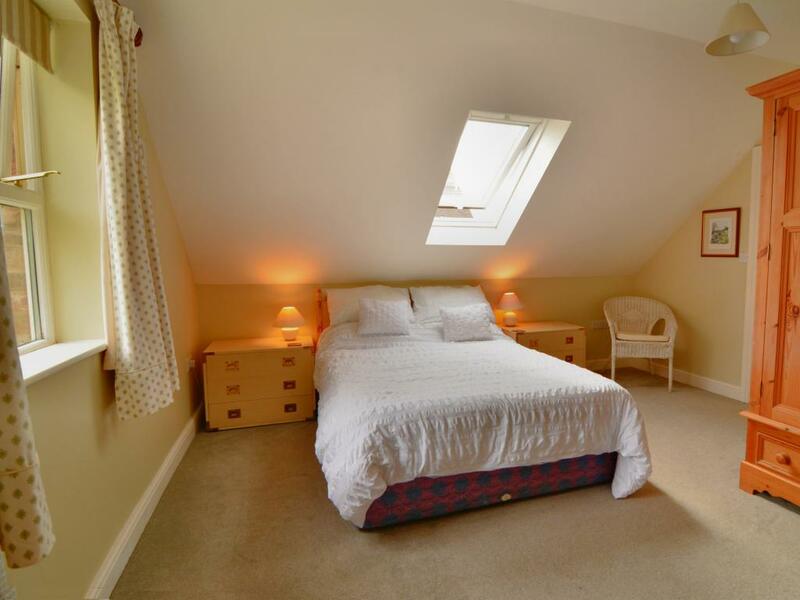 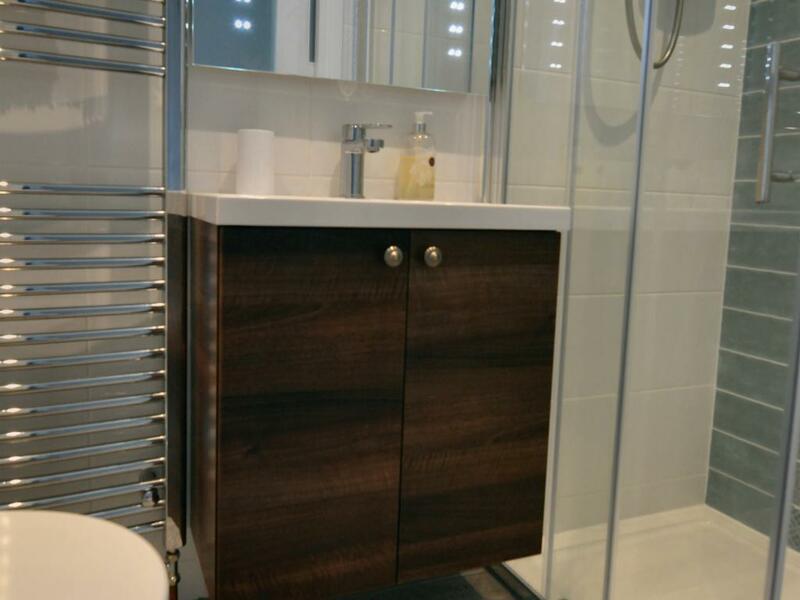 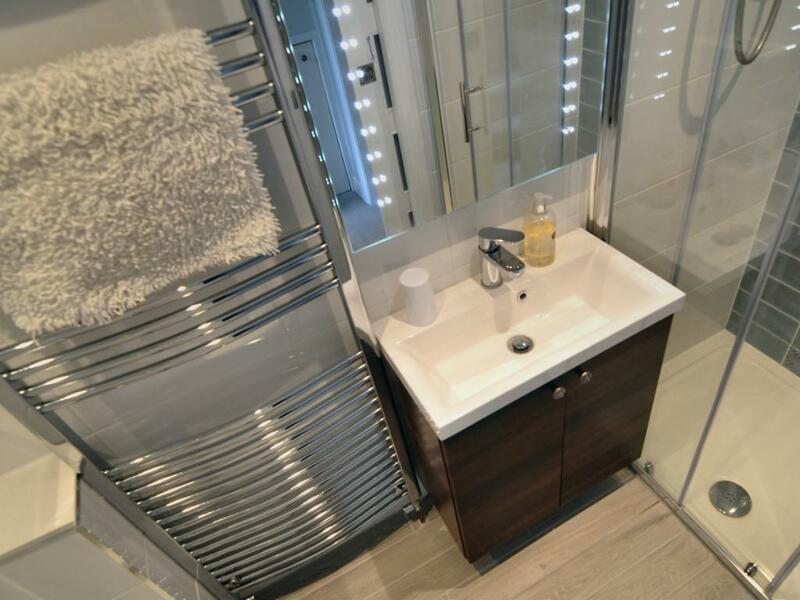 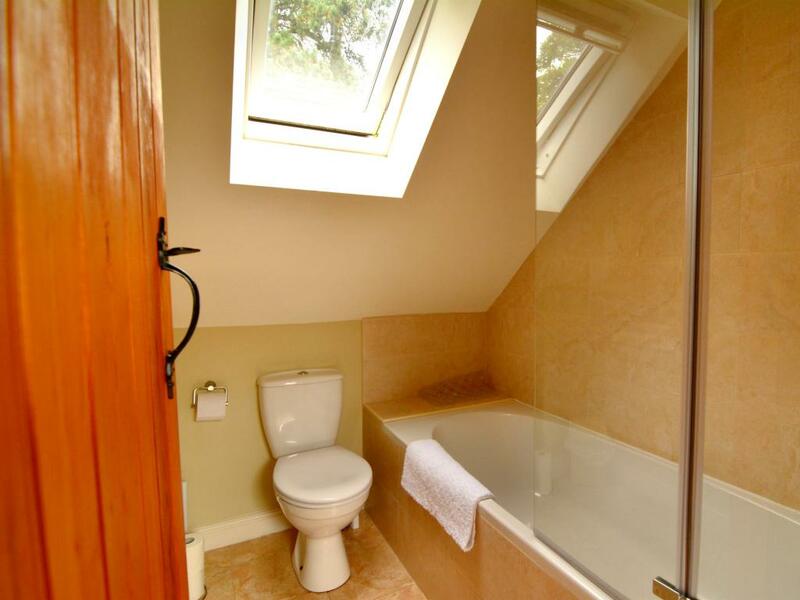 Upstairs there is a spacious landing/dressing area, a bathroom with a bath and shower over, and a bedroom with a double bed and lots of storage space. 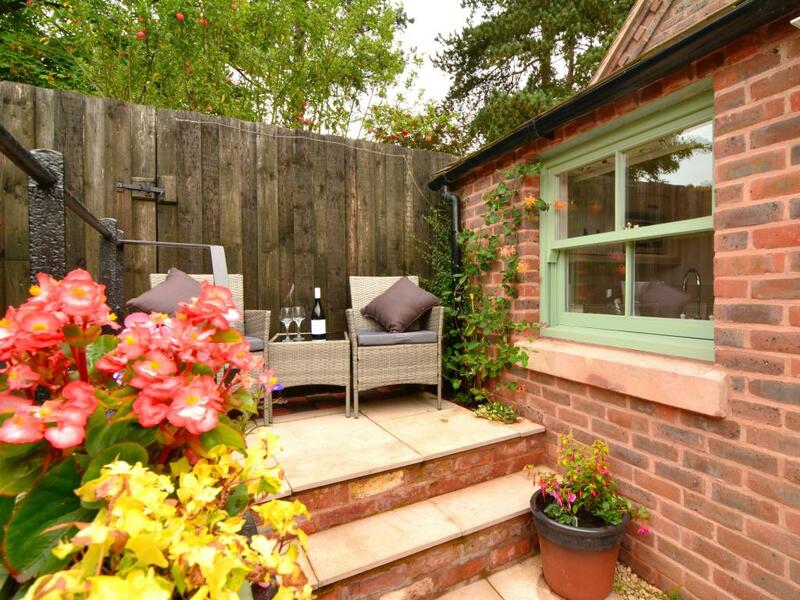 No 1 is finished throughout in a ‘shabby chic’/cottage style. 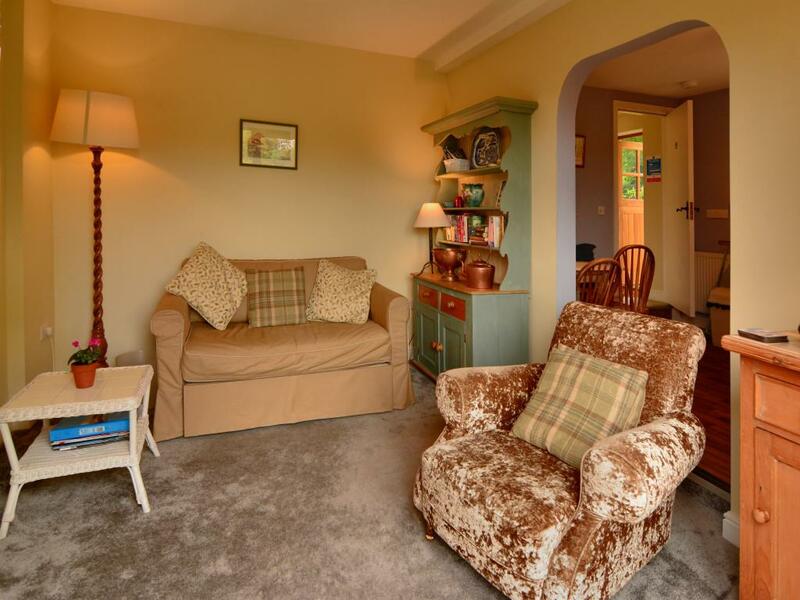 There is a sofa bed in the lounge for a 3rd guest. 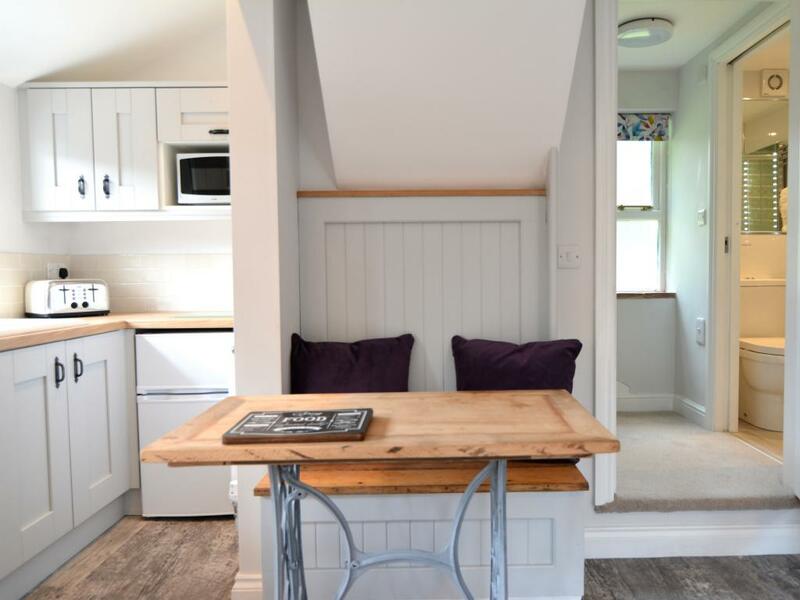 No 2 Pine Tree Lodge was converted in 2017 to a 1 bedroom cottage and is finished in a stylish mix of old and new. 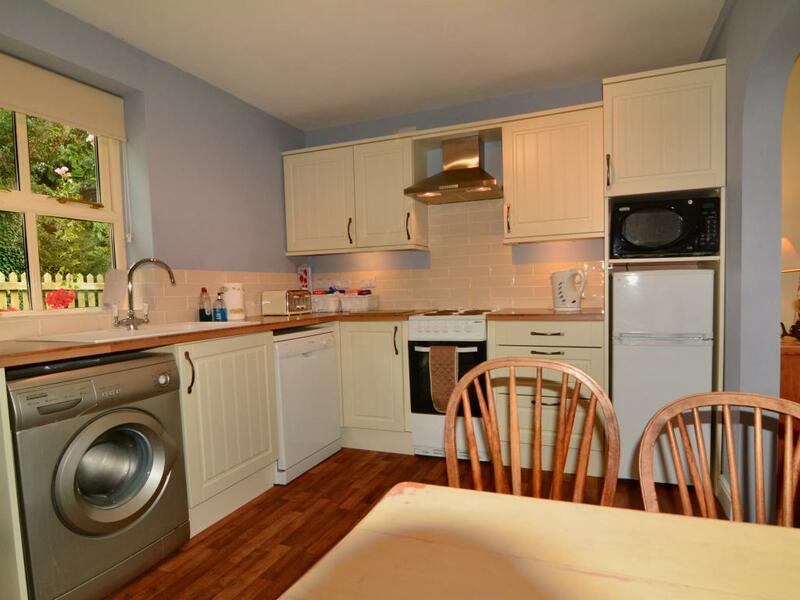 It has an open plan kitchen/diner and lounge. 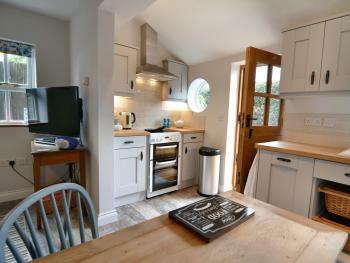 The kitchen is finished in a grey shaker style. 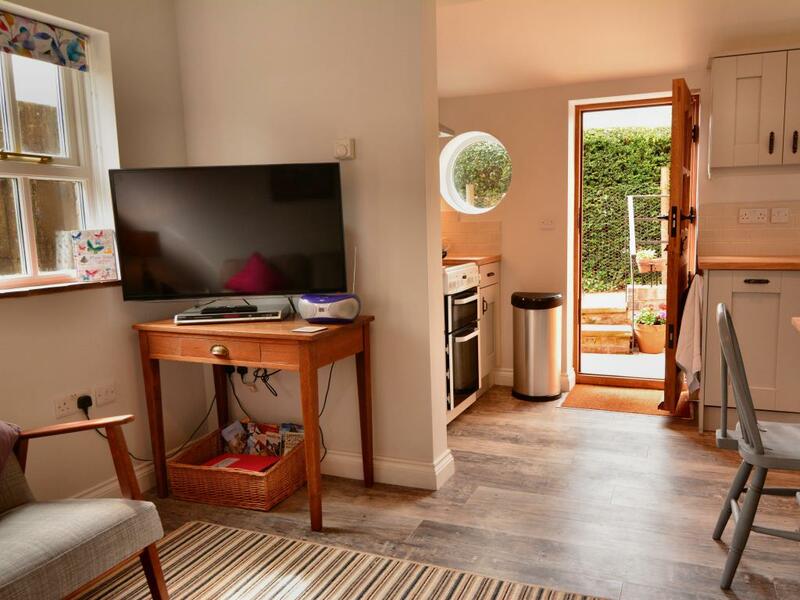 There is a hallway off the lounge which leads to a shower room then upstairs there is a bedroom with a double bed a hanging clothes rail and drawer storage. 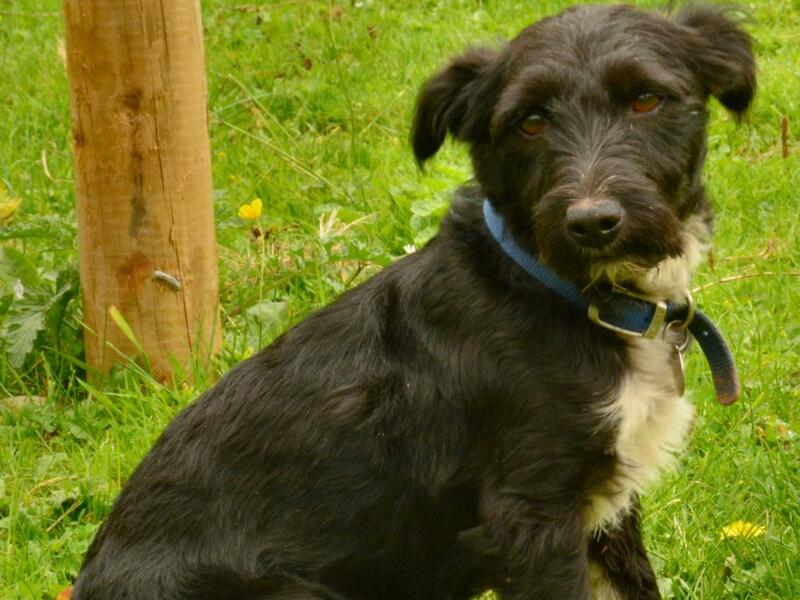 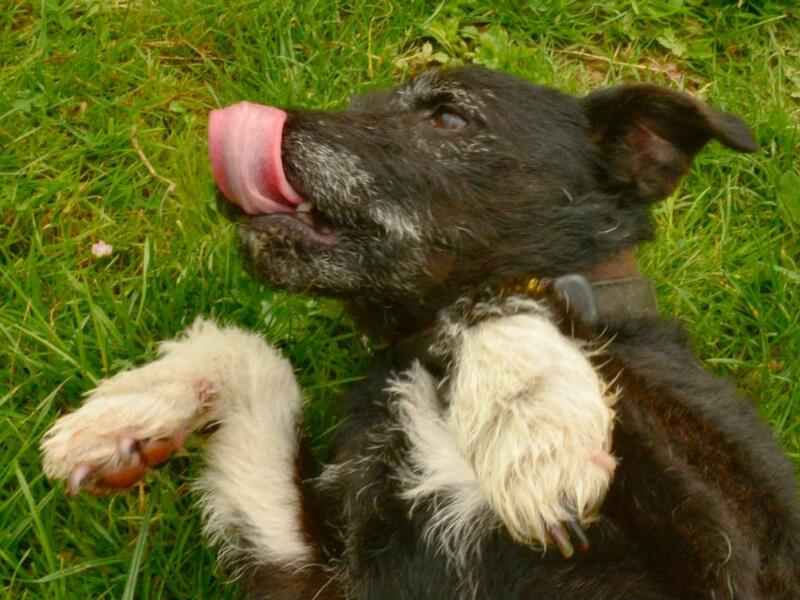 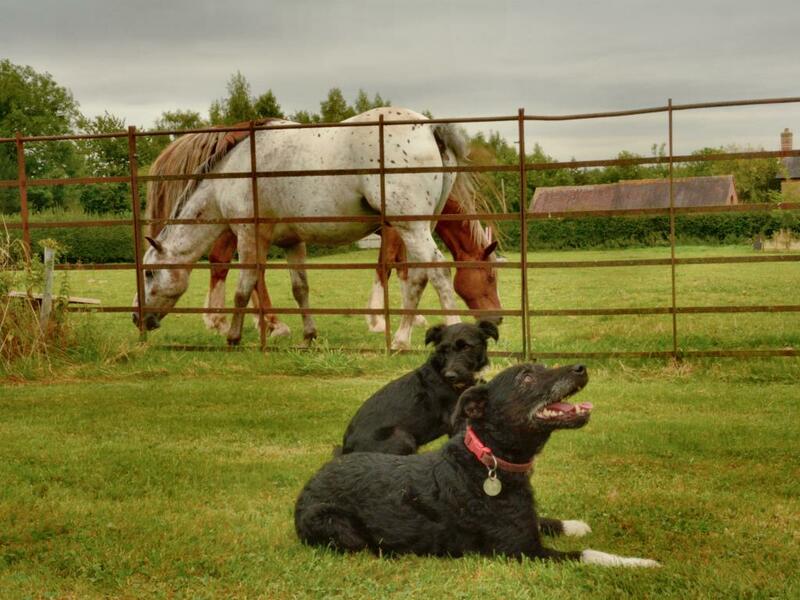 Dogs are welcome at an additional cost of £5 per dog per night. 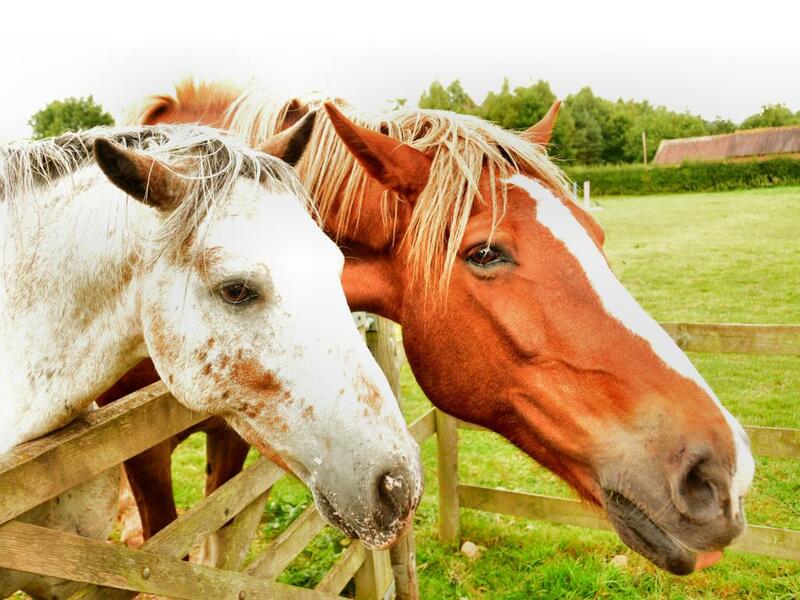 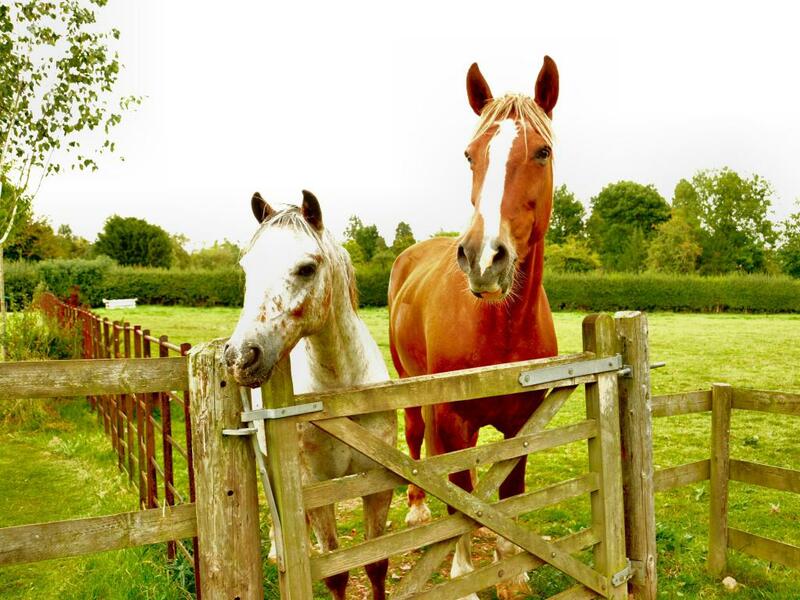 There are also stables and paddocks for horse lodgings at additional cost. Handrails provided for steps in to cottages. 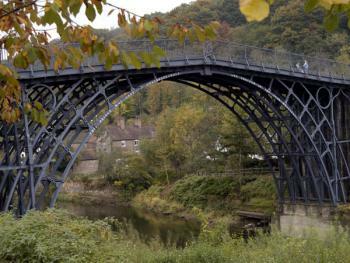 From M54 take A442 to Bridgnorth, go over River on A458. 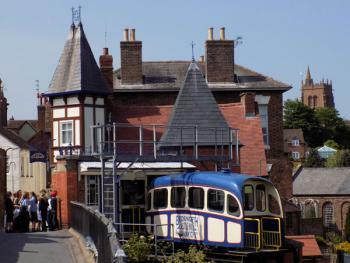 300 metres from the bridge the road bends sharp right. 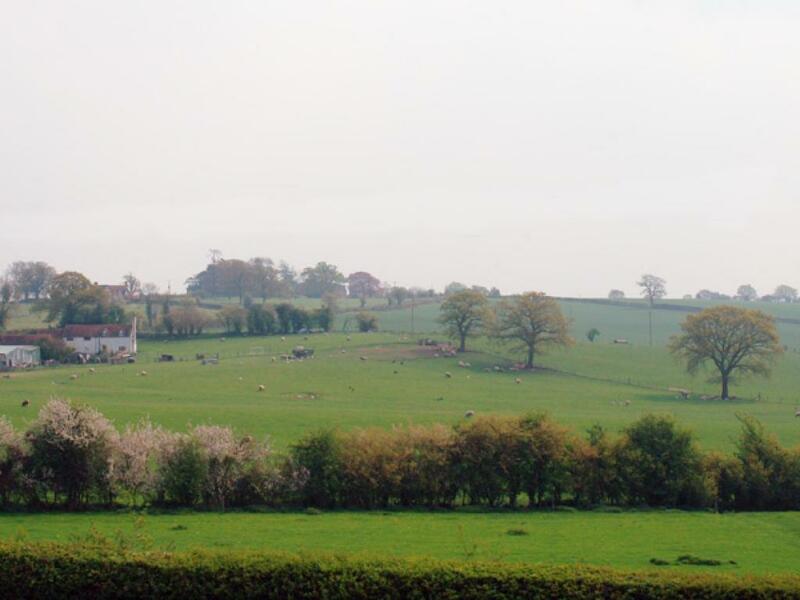 On this bend turn left towards Cleobury Mortimer (B4363) continue on up this road for about half a mile then just before the church you will see Old Mill Lane on your left. 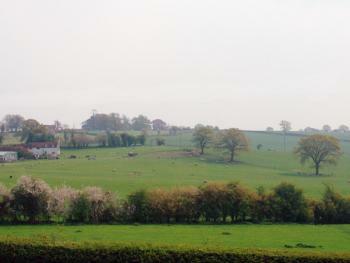 Take this lane, drive past the village hall on your right, and then you will come to a cross road. 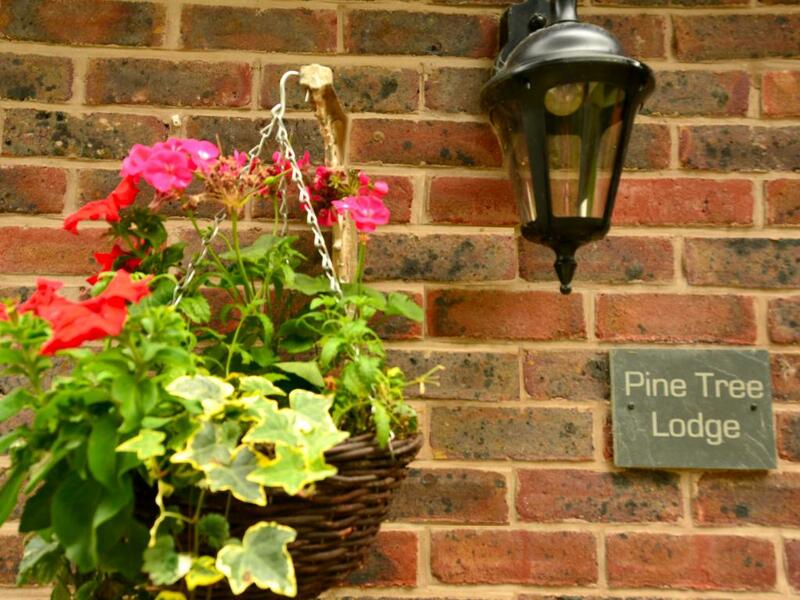 At the cross road - drive between the 2 brick pillars and you will see Pine Tree Lodge directly on your right.